Just as every new indie band were hoping to fill the pages of the NME left empty by the disintegration of the Libertines, hidden among the wannabes were the Guillemots. Filed loosely in the 'indie/rock' aisle, the Guillemots were an immediate antidote to the dirty disillusion of indie garage punk, eschewing crashing guitars for a lush aural landscape of epic, swooning melodies crowned with Fyfe Dangerfield's faultless, soaring vocal. Like homemade lemonade in the summer sun. The band's third release, 2006's 'Made-Up Lovesong #43' and follow-up, the re-released 'Trains to Brazil', both charted well and both showcased the delicate brilliance of Dangerfield's voice and the romanticism of the Guillemots. The opening line of 'Trains to Brazil', 'I love you through sparks and shining dragons, I do', is as beguiling and magical as any. The parent record for those singles, 2006's 'Through the Windowpane' displayed the full range of the Guillemots' eclectic power and earned them a nomination for the Mercury Music Prize, eventually losing out to the Arctic Monkeys' debut, 'Whatever People Say I Am, That's What I'm Not'. After a brief (and successful) flirtation with a solo career and the advertising power of John Lewis (with commercial soundtrack 'She's Always a Woman'), Fyfe Dangerfield returned to his day job with the Guillemots in 2010 and the band put out a new album, 'Walk the River', in April 2011. The band has been touring the new record throughout the summer, with a range of gigs and festival appearances, and their European tour comes to the UK in the autumn. 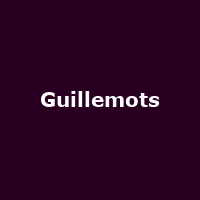 The home leg of the Guillemots' European tour kicks off at The Trinity Centre in Bristol on 4th November, moving on to Liverpool, Glasgow, Birmingham, Leeds, Oxford, Norwich and London before the final gig of the run at Cardiff's Coal Exchange on 18th November. We will have tickets for all dates from 9AM on Friday 5th August, priced £15 for all venues except Cardiff which is £12 and London's KOKO which will cost £17. Ahead of the tour, they are appearing at The Edge Festival in Edinburgh on 7th August (tickets £15), Wilderness Festival 2011, Oxfordshire on 14th August and the Ramsbottom Festival, Lancashire, on 17th September.